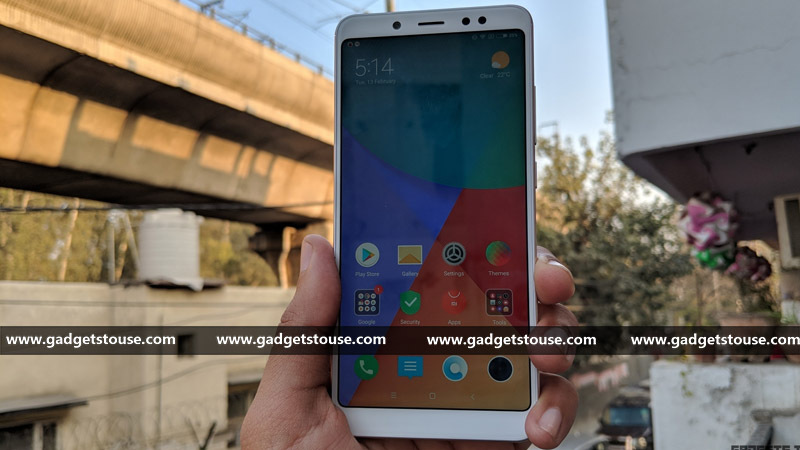 Xiaomi’s latest offering in the Indian market, the Xiaomi Redmi Note 5 Pro seems to have encountered an issue related to the headphone sound output. The device is the company’s recent mid-range contender in the country. Some users of Mi Community have complained about low volume output on the headphones while using the Xiaomi Redmi Note 5 Pro. The issue has been highlighted in other threads too where the Mi5 is also named as one of the devices with low volume output while using headphones. Update: Xiaomi is now rolling out MIUI 9.2.5 OTA update that fixes this problem. You can manually check for updates, but if it is not available for you yet, you may have to wait a little longer, as Xiaomi seems to be rolling out the MIUI 9.2.5 update in phases. The Xiaomi Redmi Note 5 Pro is a mid-range smartphone from Xiaomi. The device was launched last month along with the Redmi Note 5. Now, the device has encountered a problem with the headphone volume. Some users at the Mi Community have complained about the low volume output on the device. While Xiaomi has not acknowledged the issue, one of the moderators on the community has added to the thread saying, “The feedback has been shared with concerned team, they are looking into the issue, please stay tuned to the device section for information on upcoming updates and changelog”. To recall, the Xiaomi Redmi Note 5 Pro comes with a 5.99-inch IPS-LCD display with full HD+ (1080 x 2160p) resolution. In terms of optics, you get a 12MP + 5MP dual camera setup at the back of the phone. On the front, there is a single 20MP shooter with selfie flash and Beautify 4.0. Coming to hardware, the Xiaomi Redmi Note 5 Pro is backed by a Snapdragon 636 octa-core SoC coupled with 4GB/6GB RAM and 64GB internal storage. The phone also supports microSD card and runs on Android 7.1 Nougat based MIUI 9 out-of-the-box. It packs a 4,000mAh battery with dual SIM 4G VoLTE capabilities.